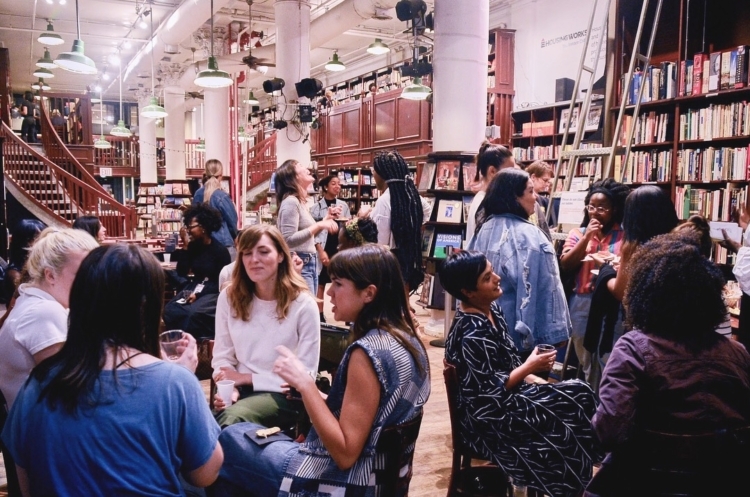 Novella is a women-only writing club based in NYC. 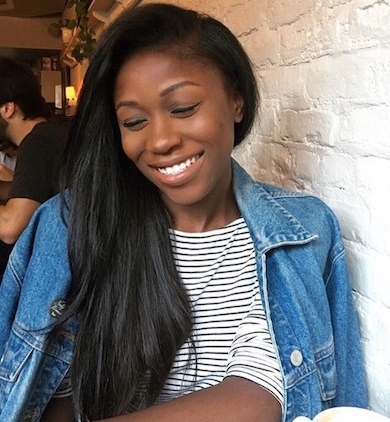 We chat with founder Abby Adesanya about the launch of this new collective. Novella is a newly launched NYC-based writing salon geared towards women and female-identifying people interested in writing, storytelling, and presenting their works publicly, but in an intimate setting. 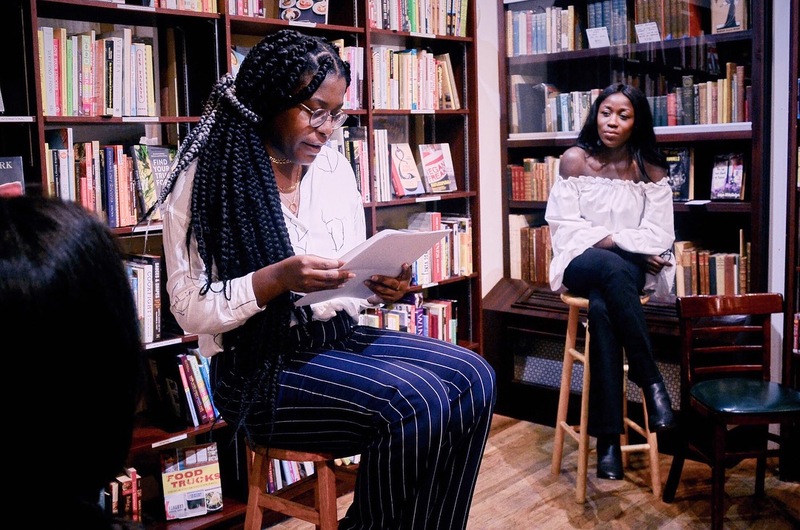 Novella founder Abby Adesanya cites the monthly get-together as a pure labor of love, created solely for the purpose of putting like-minded women in the same room to mingle, share, and listen to each other, and encourages both writers and non-writers alike to join. Admission to participate is absolutely free and open to all — all that Abby asks is those who RSVP write something (it can really be anything, from a poem to a short scene of a play) and that the written work be read out loud (up to five minutes, max) in front of the group. Abby provides participants with a creative prompt and theme ahead of time. Perhaps Novella is something you’d be interested in getting involved with? (I’m personally working towards getting over the fear of performing a written piece in public.) We caught up with Abby about where the idea of Novella came from, the importance of staying creative in an otherwise stifling political environment, and what she hopes Novella participants can take away from the experience. Hi! Where did the idea for Novella come from? Novella came about when I realized that I hadn’t touched a book or written one word for fun since leaving New Jersey, where I grew up. (I’m currently a Marketing Manager at Condé Nast, where I develop partnerships between our titles and various brands full-time.) Since moving to New York, I stopped creatively expressing myself and I knew that I wasn’t alone in this thought. When you move to a place like this, you get so involved that you inadvertently stop making time for things that you love. The city has a tendency to consume you if you let it and I didn’t want to lose that part of myself completely. I’m also committed to nurturing a camaraderie with all women — as women, we face this world in ways unlike our male counterparts and I wanted a space for us to share and learn from one another. Novella was a way to combine the stories we create through writing with the natural storytelling that occurs when you converse with another woman. I wanted shared experiences to bring women with a love of writing together, and that is Novella. As a whole, ​Novella is committed to amplifying often-unheard female voices and creating a destination where all girls, women, and femme-identifying are invited to share their experiences and learn from each other in an intersectional manner. Long-term, I’d like to have larger, more interactive events, maybe even multiple-day ones. I’d love to have notable speakers join us for a salon and publish an anthology of work written by Novella women. These are lofty goals but I think they are possible. What is your own personal connection to creative writing? ​When I was younger, writing was a form of escape for me. I grew up in the suburbs of New Jersey and would ramble to anyone who gave me the time of day that New Jersey was boring and I was headed to New York City once I turned 18. That plan was delayed a few years but in the meantime, I would read Gossip Girl and Bergdorf Blondes, envisioning myself parading down Park Avenue with a boarding pass to Paris in my right hand and a Chanel bag over my left shoulder. The stories I wrote were similar: young twenty-something who has it all. When I wrote, I’d create worlds that were much bigger, mystical, and theatrical than my own. Harry Potter excited me because they could whisk themselves into another world by running headfirst into a wall. Sweet Valley High was so fun because I was a blonde twin in California with minimal issues other than split ends and annoying boyfriends. Reading and writing made me feel like there was always another place to go as an insecure black girl surrounded by much lighter faces. Nowadays, I read and write on a much more relatable level but as entertaining as it was exploring those worlds, I think it’s telling the kind of books I wanted to get lost in! I admire writers who raise my confidence like Chimamanda Ngozi Adichie, Lesley Nneka Arimah, Susan Sontag, and Eve Babitz today. I write about my feelings, my experiences, and the fun I’m having, and I appreciate each of these ladies in a different way. Novella just held its inaugural event this month at Housing Works. Can you walk readers through what to expect when they sign up to attend one of your future events? ​When you sign up for Novella, you can expect to be welcomed into a community of literary-minded, insightful women​. You’ll receive our newsletter (which we send only two times a month!) packed full of good reads, takeaways from our previous event, and new inspiration for our next one. The salons are where we share experiences face-to-face and build tangible connections with ladies who are in the same headspace as you. We’re keeping these salons fairly intimate to start as we want guests to feel comfortable and build a strong foundation of women who love to write. Curious to know: Are there ways non-NYC women writers can get involved with Novella? We get asked this a lot so we’re working on it! Right now, we are in the process of putting together a Novella Archive, a digital collection ​of pieces from our authors where anyone in any location can submit. We also allow non-NYC women to submit their piece to be read aloud as a Selected Speaker In Absentia. We’re thinking of ways to establish an online community to connect women across the country and hope to have an answer soon! I’m curious about the process of building a “brand.” Was any of this process particularly challenging? I think the entire vibe of Novella is banging. ​Thank you so much, this is something I struggle with, actually! In a clichéd method of proof, Novella actually came to me in a dream a few months ago. It was just the name that never left my head but it didn’t take long to figure out what to tie it to — my subconscious knew what it wanted! I put the idea in the back of my mind for a few months and finally got the ball rolling at the end of August after some pushes from my friends and mentor. Creating Novella’s image itself was tough because I think I have a terrible eye for design. However, because I’m a huge fan of minimal branding Novella was easier to stylize. I wanted the name and theme to reflect written words in its best form: with serifs. Honestly, the hardest part about starting something is getting yourself to do it. Once I said, “Fine, I’ll focus on this thing I love,” I was happy to spend nights and weekends on it. It felt natural.